Birthday Prayers will be recited at Samye Ling on Sunday 3rd May in celebration of the births of both Choje Akong Tulku Rinpoche and Choje Lama Yeshe Losal Rinpoche. Celebrate the Buddha's birthday with the Samye Dzong Sangha at Spa Road on Tuesday 26th May from 7.00-9.00 pm. Then, just one week later, we invite you to join us again to celebrate the Buddha's Enlightenment - Tuesday 2nd June, 7.00-9.00 pm. These are both considered to be very auspicious days for Buddhist practice. The full programme for the visit of Lama Yeshe Losal Rinpoche on the weekend of 20th-21st June is now on the website. There will be a Children's Blessing on Saturday afternoon (from toddlers to teenagers inclusive) and, for those wanting to formally become Buddhist, a refuge ceremony in the afternoon on Sunday. In an addition to our programme we are please to announce a visit from the Venerable Master Hai Tao, a devoted follower of His Holiness the 17th Karmapa, on the weekend of the 13th -14th June. He will be giving teachings on Compassionate Being, Compassionate Activism and Loving Kindness. The Thirty-Seven Practices of a Bodhisattva - please note that the June date has moved one week forward to the 6th June, and in September the course will now take place on the 12th. The Tashi Lhunpo monks - will be visiting Kagyu Samye Dzong London. They will be in London for one week and on Wednesday 16th September at 7.00 pm we will be hosting them for an evening of Cham Dance called The Power of Compassion. 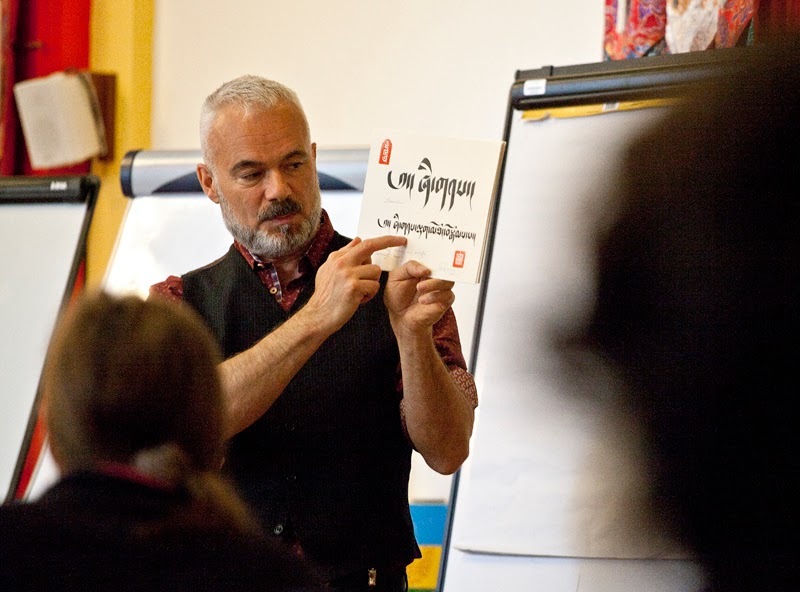 Tibetan Calligraphy with Tashi Mannox on 25th-26th April was very well attended, and well photograhped by Nicholas Laborie. To get a flavour of the weekend see the slideshow. And if you feel inspired by what you see, feel free to book a place on the next workshop in July. Smart phones have brought the Internet into the nooks and crannies of our life. More than 60% of mobile phone users turn them on within 15 minutes of waking, many of us fall asleep with them on our pillow at night. The Internet has moved from being a super-sized encyclopaedia and shopping mall into an extension of our personality. Facebook profiles, twitter feeds and Instagram accounts all mean more and more to us and a glance around any public space will confirm how many hours we spend on these glowing little screens. But there is a down-side to all this connectivity and on-line activity. The internet and social media are a extension of the world of ideas. The ideas may be bright and sparkling and almost infinitely exciting but they are still concepts and two and half thousand years ago, the Buddha recognised that too many concepts are not good for us. In fact they may well be the cause of all our unhappiness. The anti-dote to what neuroscientist call an excess of 'left-brain' experience (concepts and abstractions and symbols) is meditation. Sinking into the pleasures of 'right-brain' existence - breathing, being in the present moment, connecting in real space - is the place where we can find real peace and satisfaction. 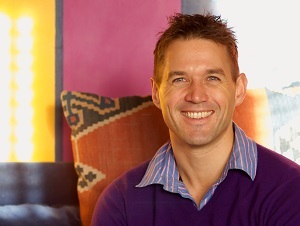 On this weekend course, Alistair Appleton, who is an accredited psychotherapist and long-term meditator, will explore the addictive nature of the internet and the pitfalls of its excitements. And as a group, we will explore the way in which meditation can offer not only insight but also release from some of the detrimental effects - many of which we may be only vaguely be aware of. So if you are feeling increasingly stressed by the deluge of on-line distractions then this course may be for you! Ideal for beginners with no experience of meditation or practitioners keen to explore different aspects of practice. "Mind the app" with Alistair Appleton takes place at Spa Road on the weekend of 9th-10th May. Please book your place on this course through the Mind-Springs website. Taming the mind - Saturday 2nd May. This is an opportunity for those who are unable to come to evening courses, to come and receive meditation instructions and gain familiarity with Shinay / Shamatha meditation. The day is focused for beginners but anyone is welcome to attend. Lama Zangmo will talk about the benefits and the common difficulties encountered when first learning to meditate, and explain how to deal with them. Sometimes being reminded of small things can make a great difference. When we are alone or under the influence of negative surroundings, we can't always see the bigger picture or put things into perspective. For that reason it is helpful to be reminded and to gain more understanding of how the mind works and how to train it. This course is suitable for both Buddhists and non-Buddhists alike. Chenrezig Practice Instructions - Sunday 3rd May. The Chenrezig sadhana is practiced regularly in the centre and is a training in compassion through the six-syllable mantra Om Mani Peme Hung. Lama Zangmo will give instructions in the practice and go through the text and the meaning and benefits of doing this meditation. You will need the Chenrezig text (available from the shop), pen and paper. Please book in advance so we know how many people will be attending. The Dorje Chang Tungma - is chanted regularly before the Shinay meditation sessions in Samye Dzong London. 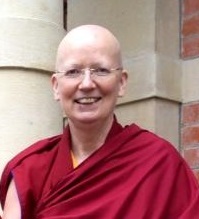 Lama Zangmo will go through the text over four Thursday evenings from 7th - 28th May inclusive. The text presents the entire path of practice, showing how someone at the beginning should practice, how they practice next, and what benefit will be achieved. In this way, the entire path of Mahamudra and its practices are explained in this short text. Green Tara - the female Buddha - on Saturday 23rd May. Tara is called the Mother of all the Buddhas, as she represents the wisdom that gives birth to enlightenment, the ultimate realisation of a Buddha. In the tales associated with Tara it is said that Green Tara and White Tara sprang from two tears on Chenrezig's face, to help the bodhisattva of infinite compassion in his task of liberating all sentient beings from suffering. Thus when our practice of compassion can be coupled and sustained with that of swift, fearless and wise activity, it can produce powerful results. During this day of instructions, Lama Zangmo will explain the visualisations and mudras that accompany the practice. To receive the instructions you should as a minimum have taken refuge. Please bring the Green Tara sadhana text (available from the KSDL shop). On Saturday there will be a Children's Blessing (from toddlers to teenagers inclusive) from 2.00-2.30 pm and a Milarepa Tsok Puja and feast offering from 3.00-4.00 pm. Offerings of food, drink and flowers for the event are welcome. The full programme for Lama Yeshe's visit is now on the website, and you can make donations for the weekend using the link at the bottom of the page. This is an opportunity for those who are unable to come to evening courses, to come and receive meditation instructions and gain familiarity with Shinay / Shamatha meditation. The Dorje Chang Tungma is a teaching that deals with the power of supplicating the Lineage Masters and how one relies upon the Lineage that comes from Vajradhara down to one's own Root Lama. Join the Kagyu Samye Dzong London Sangha for a day of accumulation of mantras for Choje Akong Tulku Rinpoche. The morning will be dedicated to accumulating Guru Rinpoche mantras and the afternoon dedicated to accumulating the Chenrezig mantras. Green Tara practice is used to help us overcome inner and outer obstacles, and especially the obstacles of our own fears and self-doubt. This day marks the birth of Prince Siddharta Gautama in Lumbini, present-day Nepal around 500BC. The day of Buddha's enlightenment is known as *Wesak* or *Saga Dawa Duchen* by Tibetan Buddhists. It is celebrated on the 15th day of Saga Dawa, the fourth month of the Tibetan lunar calendar. "When we study and reflect on a teaching, we should choose a text that provides a broad understanding of the Buddha's teaching as a whole. If you have time to help Kagyu Samye Dzong London this Thursday, there is plenty of opportunity for meritorious activity. We will be busy preparing the centre for the visit of our precious Abbot, Choje Lama Yeshe Rinpoche. Meditation is the art of finding peace and happiness within by using simple methods of calming and stabilising our minds, through the practice of mindfulness. We are delighted to welcome Choje Lama Yeshe Losal Rinpoche, the Abbot of Kagyu Samye Ling Monastery, to Kagyu Samye Dzong London. This is an opportunity to receive meditation instructions and advice from a highly accomplished meditation Master. Join everyone at Kagyu Samye Dzong London for prayers dedicated to the long life, good health and continuing activity of His Holiness the 17th Gyalwa Karmapa, Orgyen Trinley Dorje. Guru Rinpoche is the guiding power which emanates from pure mind, anywhere in time and space: the universal teacher.